From media and health advisors to the wide availability of low-fat foods, fat has become a conscious part of our daily living. Fat is often regarded in a negative fashion. However, the term fat covers a broad range of fatty acids. In contrast to the popular opinion that all fat is bad, there are “good” and “bad” fats. “Good” fats are critical to our health. These types of fats are essential; that is, they must be obtained from the diet, are necessary for health, and their absence from the diet can be detrimental. These essential fatty acids (EFAs) from the omega-3 and omega-6 families are required for the proper structure and function of every cell in the body, making them important for optimal health. EFAs increase the absorption of fat-soluble vitamins; nourish the skin and hair; promote proper brain and nerve functioning; help produce hormones; ensure normal growth and development; and prevent and treat disease. A balance of Omega-3 and omega-6 essential fatty are the foundation of our health. In fact, each EFA plays many distinct and valuable roles in the optimal functioning of the entire body. In ancient times, humans consumed a ratio of omega-6s to omega-3s of almost 1:1. In modern times, due to the agricultural revolution and an increase in the consumption of grains, plant oils, and grain fed animals, our diet have become heavily loaded with omega-6 – the pro-inflammatory omega fatty acid. Now the Omega-6 to Omega-3 ratio in our diet is thought to have become 10-20:1! Inflammation is an essential part of health, we want to be alerted by our body if we have an injury, the pain is a positive signal, the white bloods cells bring clotting agents and immune defense. The body is designed to regulate our natural inflammatory response from omega-6 with the natural anti-inflammatory response from omega-3. This balance was lost with the agricultural revolution shifting our diets to increase grain and grain oil consumption. Then modern life further changed the balance with a further reliance on margarine’s, butter, and plant oils high in omega-6 (sunflower, corn, and safflower). The high omega-6 to omega-3 ratio in our diet means we are consuming 10-20 times more omega-6 fat than omega-3 fatty acids, when once we consumed them in roughly equal quantities. This has created a significant imbalance of fatty acids in our body, resulting in a deficiency of the omega-3s. This imbalance should be corrected by increasing our dietary consumption of the omega-3s. 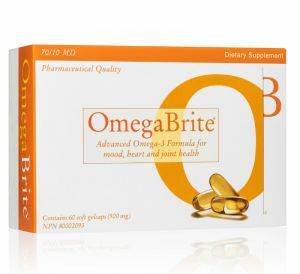 The omega-3 EPA and DHA in OmegaBrite provide the essential nutrients we need for optimal health. That is why OmegaBrite creates such a powerful difference. 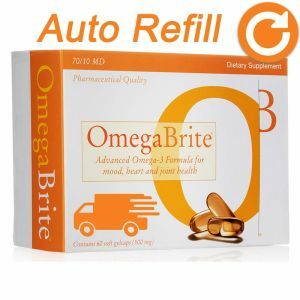 By giving our bodies the omega-3 nutrients EPA and DHA, in pure concentrated OmegaBrite, we are giving our bodies the building blocks of health. As important as it is to increase our dietary levels of omega-3 fatty acids, not all omega-3s are created equally. There are three important omega-3 fatty acids to consider: alpha linolenic acid (ALA), eicosapentaenoic acid (EPA) and docosahexaenoic acid (DHA). ALA is found in plant based oils like flaxseed oil, perilla oil, soybean oil, green, leafy vegetables, and nuts and seeds like walnuts, almonds and flaxseeds. ALA is an important fatty acid as is involved in the conversion of glucose into energy for normal bodily functions. Ideally, ALA should be metabolized into the longer chain fatty acids, EPA and DHA, but many people have difficulty making this conversion. EPA and DHA can be found in cold-water fatty fish including salmon, tuna, mackerel, sardines and anchovies. EPA is directly responsible for the production of anti-inflammatory prostaglandins, which are out of balance in most individuals due to the plethora of pro-inflammatory omega-6s in our diet. Furthermore, the limited ALA we do consume is converted to EPA and DHA at a very slow rate. This is a result of being human! Humans are poor converters of ALA. As a result, most people living in Western countries are deficient in EPA and DHA. It is therefore evident that closer attention needs to be paid to dietary fat selection. Greater intake of ALA can be achieved by increasing consumption of fruits, vegetables, nuts, and seeds. ALA can also be readily acquired by dietary use of canola, flax, and certain other plant oils. Attempting to obtain adequate amounts of EPA and DHA poses greater challenges. Due to the restricted dietary sources of these nutrients many individuals have turned to high quality OmegaBrite to obtain these health promoting and disease preventing fatty acids. In the 1970s, the benefits of omega-3s from fish oil emerged when researchers noticed that certain populations, such as the Inuit, who ate fish frequently suffered fewer heart attacks and died of heart disease at a lower rate than those who seldom ate fish. Not only did they not suffer from heart disease but other diseases such as asthma, diabetes, psoriasis, and depression were virtually non-existent among this population of people. The Inuit advantage was attributed to the long-chain omega-3s EPA and DHA, found in their food staples of fatty fish and fish-eating marine mammals such as whales and seals. 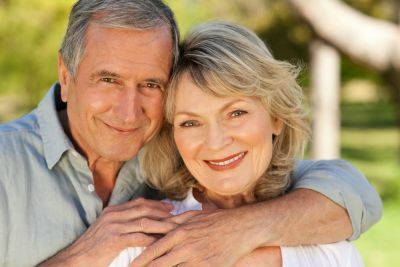 Human trials have shown many benefits from EPA and DHA in conditions such as heart disease, high blood pressure, high cholesterol, depression, schizophrenia, childhood ADD/ ADHD, arthritis, psoriasis, eczema and even as an aid to reduce stress levels. Scientists have also demonstrated that children born to women who took omega-3 fish oil supplements develop mental, visual, and hearing function more quickly and are at reduced risk of developing allergic rhinitis, asthma and atopic dermatitis. One of the significant links between these disease conditions is underlying inflammation. Inflammation is a buzz word, with many people seeking ways to deal with their inflammatory conditions. Inflammation is caused by a variety of factors, but one of the most significant and modifiable factors is diet and nutrition. An imbalance of fatty acids can lead to serious inflammation which manifests itself in a variety of disease conditions. Omega-3 fatty acids, specifically EPA produce anti-inflammatory eicosanoids, most notably prostaglandin E2. Research has confirmed that when the body is given EPA from fish oil, the levels of inflammatory mediators decrease resulting in improvements in rheumatoid arthritis, depression and cardiovascular disease, as well as many other inflammation- mediated disorders. EPA helps to offset the imbalance of pro-inflammatory fatty acids obtained from our modern- day Western diet, thereby improving numerous disorders which afflict many members of our population. Omega-3 fatty acids are also used to generate Resolvins and Protectins. These molecules have been shown to resolve inflammation by mediating the protective and beneficial actions of omega-3 fatty acids. A lack of omega-3 in the diet leads to a dysregulation of these pro-resolving mediators resulting in prolonged inflammation and disease. Consuming omega-3s daily is a vital component to overall health and well-being. As essential nutrients, our bodies require them, yet our modern diets have led to dangerously low levels of consumption. Therefore, supplementing with a high-quality omega-3 source is recommended to improve overall health. The omega-3 fatty acids in OmegaBrite provide us with the EPA and DHA we need for optimal wellness and health from head to toe. Many people lack the ability to convert ALA to longer chain EPA and DHA essential fatty acids. By providing our bodies with OmegaBrite, we are giving our bodies the biologically active EPA and DHA and don’t need to worry about the rate of conversion. EPA is rapidly turned over in our bodies as it is used to modulate inflammation as a normal part of the immune system. We need to replenish our body with EPA daily to ensure we constantly have enough EPA in our bodies for optimal health. The high strength EPA contained in OmegaBrite balances our omega-3 to omega-6 ratio, improving health and reducing the risk of disease. Adam O, Beringer C, Kless T, Lemmen C, Adam A, Wiseman M, Adam P, Klimmek R, Forth W. Anti-inflammatory effects of a low arachidonic acid diet and fish oil in patients with rheumatoid arthritis. Rheumatol Int. 2003 Jan;23(1):27-36. Birch EE, Garfield S, Hoffman DR, Uauy R, Birch DG. A randomized controlled trial of early dietary supply of long-chain polyunsaturated fatty acids and mental development in term infants. Dev Med Child Neurol. 2000 Mar;42(3):174-81. Birch EE, Hoffman DR, Castaneda YS, Fawcett SL, Birch DG, Uauy RD. A randomized controlled trial of long-chain polyunsaturated fatty acid supplementation of formula in term infants after weaning at 6 wk of age. Am J Clin Nutr. 2002 Mar;75(3):570-80. Denomme J, Stark KD, Holub BJ. Directly quantitated dietary (n-3) fatty acid intakes of pregnant Canadian women are lower than current dietary recommendations. J Nutr. 2005 Feb;135(2):206-11. Geleijnse JM, Giltay EJ, Grobbee DE, Donders AR, Kok FJ. Blood pressure response to fish oil supplementation: metaregression analysis of randomized trials. J Hypertens. 2002 Aug;20(8):1493-9. Geusens P, Wouters C, Nijs J, Jiang Y, Dequeker J. Long-term effect of omega-3 fatty acid supplementation in active rheumatoid arthritis. A 12-month, double-blind, controlled study. Arthritis Rheum. 1994 Jun;37(6):824-9. Krauss RM, Eckel RH, Howard B, Appel LJ, Daniels SR, Deckelbaum RJ, Erdman JW Jr, Kris-Etherton P, Goldberg IJ, Kotchen TA, Lichtenstein AH, Mitch WE, Mullis R, Robinson K, Wylie-Rosett J, St Jeor S, Suttie J, Tribble DL, Bazzarre TL. AHA Dietary Guidelines: revision 2000: A statement for healthcare professionals from the Nutrition Committee of the American Heart Association. Circulation. 2000 Oct 31;102(18):2284-99. Morris MC, Evans DA, Bienias JL, Tangney CC, Bennett DA, Wilson RS, Aggarwal N, Schneider J. Consumption of fish and n-3 fatty acids and risk of incident Alzheimer disease. Arch Neurol. 2003 Jul;60(7):940-6. [No authors listed] Dietary supplementation with n-3 polyunsaturated fatty acids and vitamin E after myocardial infarction: results of the GISSI-Prevenzione trial. Gruppo Italiano per lo Studio della Sopravvivenza nell’Infarto miocardico. Lancet. 1999 Aug 7; 354(9177):447-55. Erratum in: Lancet 2001 Feb 24;357(9256):642. Noaghiul S, Hibbeln JR. Cross-national comparisons of seafood consumption and rates of bipolar disorders. Am J Psychiatry. 2003 Dec;160(12):2222-7. Peet M, Horrobin DF; E-E Multicentre Study Group. A dose-ranging exploratory study of the effects of ethyl-eicosapentaenoate in patients with persistent schizophrenic symptoms. J Psychiatr Res. 2002 Jan-Feb;36(1):7-18. Prisco D, Paniccia R, Bandinelli B, Filippini M, Francalanci I, Giusti B, Giurlani L, Gensini GF, Abbate R, Neri Serneri GG. Effect of medium-term supplementation with a moderate dose of n-3 polyunsaturated fatty acids on blood pressure in mild hypertensive patients. Thromb Res. 1998 Aug 1;91(3):105-12. Stark KD, Park EJ, Maines VA, Holub BJ. Effect of a fish-oil concentrate on serum lipids in postmenopausal women receiving and not receiving hormone replacement therapy in a placebo-controlled, double- blind trial. Am J Clin Nutr. 2000 Aug;72(2):389-94. Zanarini MC, Frankenburg FR. omega-3 Fatty acid treatment of women with borderline personality disorder: a double-blind, placebo-controlled pilot study. Am J Psychiatry. 2003 Jan;160(1):167-9.